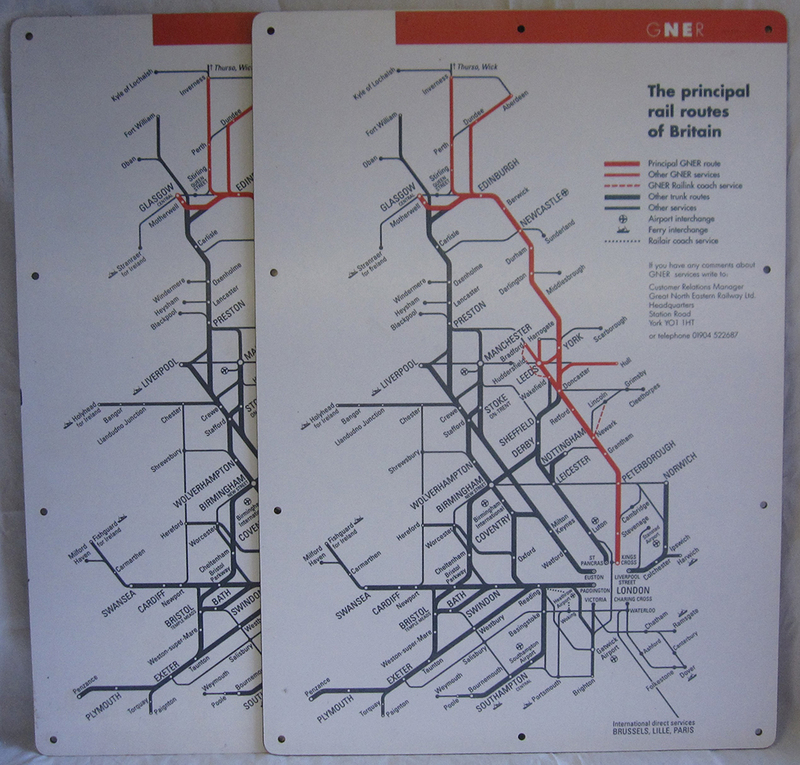 Modern Image Melamine Carriage Maps x2. GNER The Principle Rail Routes. Both In Very Good Condition.